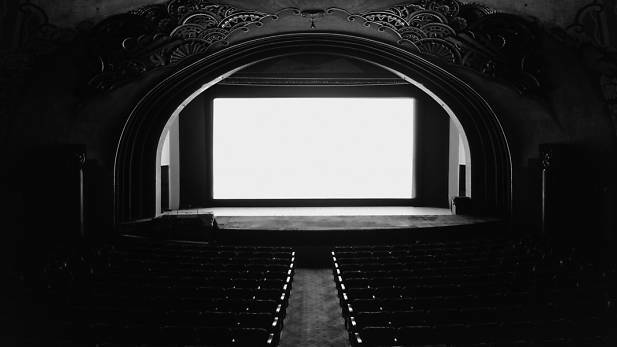 Black Box, an exhibition of photographs by Hiroshi Sugimoto, can be seen at the Fundació Mapfre, in Barcelona, until 8th May. 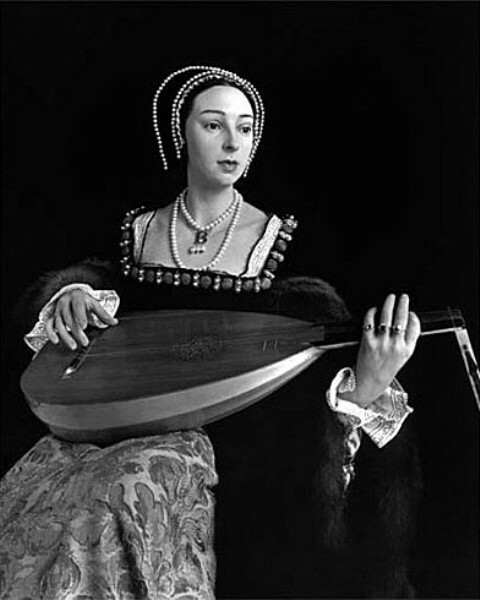 Would you be interested in seeing a photograph of someone from the early sixteenth century? That’s right, a photograph, albeit the size of an oil painting. Madame Tussaud’s wax sculptures of Henry VIII and his six wives, inspired by Renaissance paintings and drawings which, in effect, lead back to real historical individuals, were lit and photographed by Hiroshi Sugimoto (b. 1948, Tokyo, Japan) in such a way that they seem to be images, captured momentarily by the camera, of living, breathing human beings. The world-renowned photographer studied in detail the lighting of the period as used by Renaissance artists, then reproduced it to light the wax models he photographed as part of his series Portraits (1999). 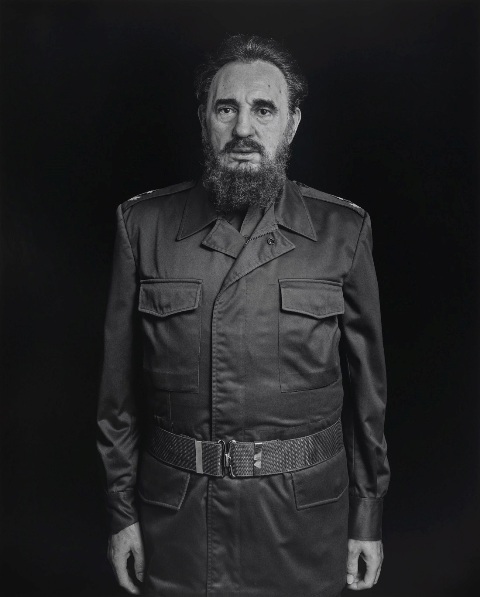 Careful lighting and Sugimoto’s signature gelatine silver print technique was used for the other portraits of wax figures shown here in central Barcelona – Emperor Hirohito, Fidel Castro, Lenin, and Pope John Paul II. The black and white photographs, strangely, bring the wax figures to life. Sugimoto himself said of his portrait of Henry VIII “If this photograph now appears lifelike to you, perhaps you should reconsider what it means to be alive here and now”. 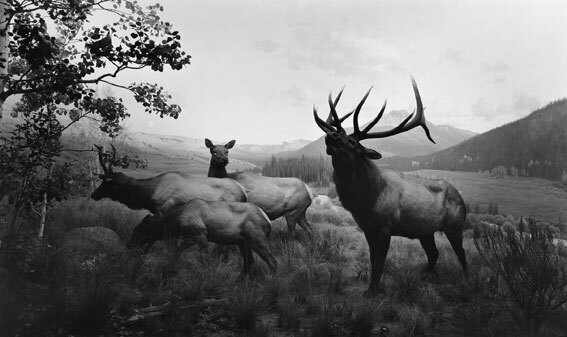 Hiroshi Sugimoto realised the potential offered by three dimensional figures created with the aim of appearing, deceptively, alive, when photographing posed collections of stuffed animals and birds, or dioramas, in the American Museum of Natural History. Displayed in “natural” poses with scenery and painted backdrops, Sugimoto’s wolves, vultures, arctic animals and mountain birds succumb to the nature of the camera itself -which captures movement and momentary poses- to create the illusion that an animal’s vitality has been caught somewhere along the continuum of its life. Some of these pictures from the ongoing series Dioramas (1976-) can also be seen at the Fundació Mapfre in Barcelona. 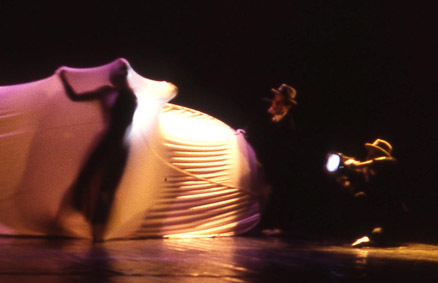 Light and staged performances in relation to the theatre -or rather movie theatre- itself are the subject of another, eerily beautiful, series Theaters (1978-). When all is said and done, what remains is white light within the frame, itself illuminated by that light. 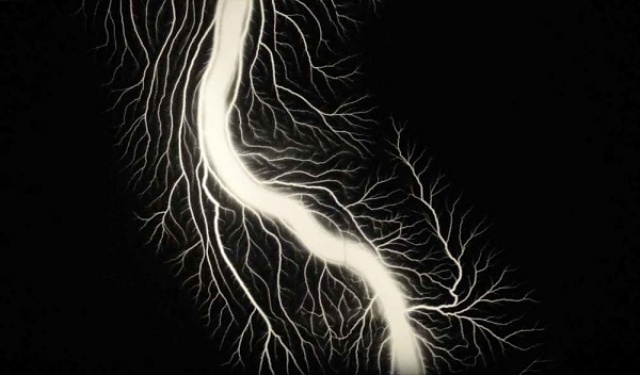 The final series, Lightning Fields, shows the most energy-charged and fleeting of our planet’s figures. Halfway between portraits of unique natural phenomena and abstract art, these large, vertical jagged shapes bring to a close this exhibition of works that probe so many aspects of what it means to be alive. An exhibition which starts where animal life, in fact, began – with the sea. Seascapes (1980-) offer large atmospheric photographs that could almost be paintings, of different seas, different moods and, always, the horizon. 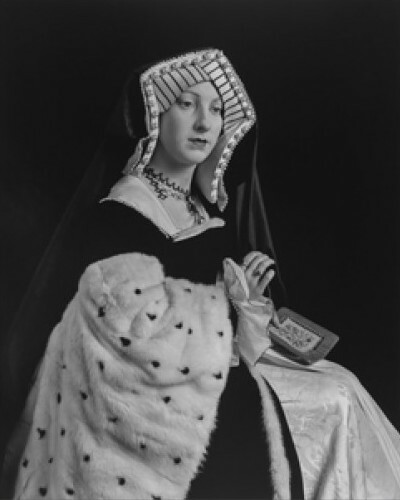 Note, for a fuller article on Hiroshi Sugimoto’s photographs of Henry the VIII and His Six Wives, see the article in Puppetring, August 2012.